After choosing the materials, the designers worked on all external and internal flows of the car, paying close attention to every detail necessary to decrease the creation of vortices and at the same time to ensure cooling of the engine compartment. On top of this special design of the rear and lower underbody air intakes and over 200,000 hours of optimisation in the wind tunnel and on the track were added. The final result is a Cx equal to 0.34, the best value among cars with negative lift. 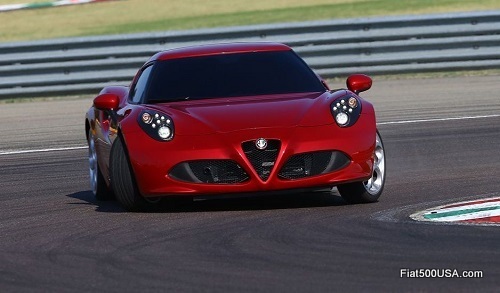 The Alfa Romeo 4C stems from a blank sheet of paper and an idea. 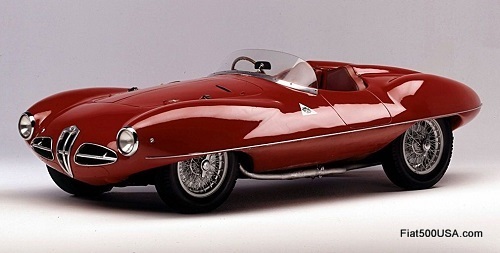 The blank sheet of paper was a prerequisite for the conception, development and implementation of a new idea of a sports car: the "affordable supercar". In fact, the 4C is designed to be not just an exclusive car in terms of content and performance, but also to become a dream that comes true for Alfa Romeo enthusiasts all over the world. So we had to think in terms of low production volumes - but still in the order of a few thousand cars a year. So the blank sheet of paper, initially free from design and production restraints, became immediately enriched with new parameters and new challenges. The first is represented by a reference figure not to be ignored: a supercar must have a weight-to-power ratio of under 4 kg/HP. To achieve it, the Alfa Romeo engineers could focus on the horsepower - so much power, so much performance - but with consequent high purchase and running costs for a car that would have in this way become much less affordable. So they decided to take another route: reduce the car's weight by choosing materials that combine lightness and efficiency, and improving - at times even creating - manufacturing processes that fuse high technology and craftsmanship. A total dry weight of only 895 kg was achieved in this way. 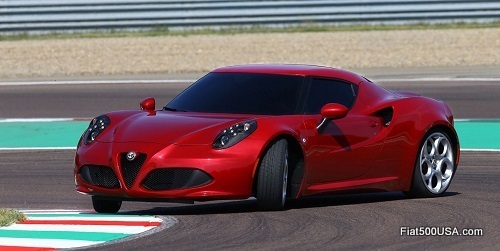 It is a record that makes the 4C one of the lightest cars in the world. To achieve this ambitious goal, lots of work was poured into the materials. They were chosen for their specific weights and for the chemical-physical, mechanical and technological properties that best meet the needs of performance and dynamic behaviour of a sports car. And this is the reason why the 895 kg of weight are mostly formed of aluminium, steel, lightened SMC and carbon fibre. The secret of the lightness and dynamic behaviour of the Alfa Romeo 4C lies in the 10% of carbon fibre used, which represents as much as 25% on the entire volume of the 4C. 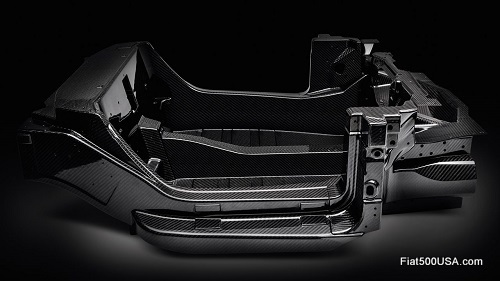 Today carbon fibre is the material that guarantees the best efficiency between weight and stiffness. This is why it was chosen for the monocoque with a structural function that constitutes the central self-supporting cell of the chassis. It is a solution adopted by most advanced supercars. It combines savings in weight with excellent performance. In fact, the monocoque weighs only 65 kg. Totally designed by the team of Alfa Romeo specialists, the monocoque is produced by Adler Plastic with an innovative production process that brings together the state of the art in terms of manufacturing technologies with the manual dexterity typical of Italian craftsmen. In this way it was possible to introduce the 'pre-preg' technology derived from Formula 1 into a series production. 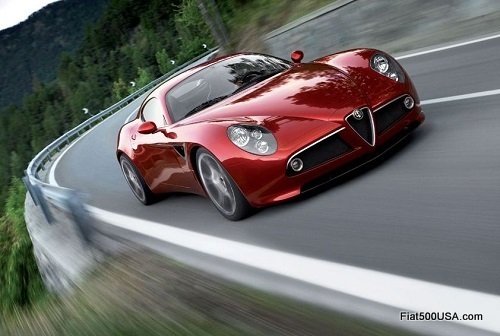 Alfa Romeo is the only brand able to do this, and its production rate tops 1,000 pieces a year. 'Pre-preg' carbon fibre, processed with a vacuum bag in an autoclave, has made it possible to move on from designing the piece to designing the material. In this way the monocoque reached levels of response to stresses and dynamic behaviour unthinkable with the adoption of other technologies and materials. The pre-preg carbon fibres can be arranged in the optimal structural direction with respect to the forces to achieve a result which only a metallic material could give with superimposed layers, different thicknesses and added reinforcements. Moreover, polymerisation in the autoclave - 'cocura' in technical terms - allows box section structures normally coming out of multiple components (often of different materials) manufactured and assembled in several phases to be produced in a single process. This is what happens for the door pillar, for example. In the standard steel version, it is composed of about 6 pieces joined together and to the body in several stages of the production process. With the 'cocura' process, the door pillar is a single object and part of the supporting structure. In fact, the carbon fibre monocoque is a single piece - and as such it reacts to external stresses with obvious advantages in terms of dynamic behaviour. The use of materials with high torsional stiffness and low specific weight distinguishes all the structural components of the Alfa Romeo 4C. As is demonstrated by the use of aluminium for the roof reinforcement cage and front and rear beams. Both the design of the components and the manufacturing process were altered in this case as well, in order to reduce its weight and increase its rigidity. More specifically, the designers created a new section for the struts that replaces the traditional rectangular section. In this way the beams are lighter and at the same time safer. They are also produced using the innovative 'Cobapress' process. This process combines the advantages of casting with those of press forging, which further compresses aluminium alloy to close any remaining porosity. All of this lightens the component to the benefit of its mechanical properties. SMC (Sheet Moulding Compound) is used for the bodywork. It is a low-density, high-resistance composite which offers a 20% weight reduction compared to the traditional steel shell. The Alfa Romeo 4C is the first standard production vehicle with such a high percentage of low-density SMC: at just 1.5 g/cm³ it is significantly lighter than steel (~7.8 g/cm³) and aluminium (~2.7 g/cm³), as well as being more malleable. This feature granted that freedom in terms of style and design necessary to create a real Alfa Romeo recognisable at first glance. It is also a stable material which, in contrast to aluminium, does not deform in minor collisions, and is extremely resistant to chemical and atmospheric agents. It also disperses sound efficiently, increasing acoustic comfort. PUR-RIM (injected polyurethane) was also chosen for the bumpers and mudguards for the reasons mentioned. It is a lightweight material (-20% compared to steel) suitable for creating even highly complex design elements like a 4C mud guard. Not a single material, including glass, was neglected in order to get the lowest possible weight. In this specific case, weight was lightened by actually "slimming down" the silhouette. All the windows are on average 10% thinner than those normally used on a car so that the average weight is reduced by 15%. The windscreen is just 4 mm. This is an outstanding result, especially when we consider its particularly aerodynamic shape that is difficult to achieve with such a thin sheet of glass. The new '4 cylinder' 1750 Turbo Petrol with direct injection at 200 bar that achieves performance of absolute excellence is making its début on the Alfa Romeo 4C. Torque and specific power set new records for this size of engine at over 200 Nm/l and 137 HP/l, respectively, while maximum power of 240 HP (176 kW) is reached at 6000 rpm. The maximum torque of 350 Nm ensures its extraordinary elasticity and sportiness since it is maintained constant between 2100 and 4000 rpm, but 80% of the torque is already available at just 1800 rpm. Fitted out like this, the compact supercar registers exceptional results both during pick-up and when accelerating. 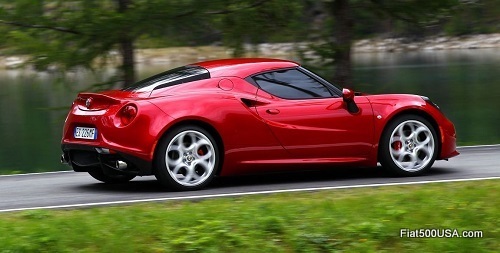 The Alfa Romeo 4C goes from 0 to 100 km/h in just 4.5 seconds and develops a top speed of over 250 km/h. Driving pleasure is magnified by the full, rich sound of the exhaust, where the low frequencies and classic roar have been emphasised. This impressive level of performance has been achieved with minimum impact on the environment. Thanks to multiple injection control and advanced anti-friction and energy loss reduction systems, the emissions of the Alfa Romeo 4C fall well within the strict limits of Euro 6. The Alfa Romeo 4C 240 HP direct injection 1750 Turbo Petrol engine implements an innovative aluminium block and specific intake and exhaust systems which have been optimised to enhance the sports appeal of the car even further. In addition, it boasts cutting-edge technical solutions including direct fuel injection, dual continuous variable valve timing system, a turbocharger and a revolutionary scavenging control system that gets rid of any turbo lag. 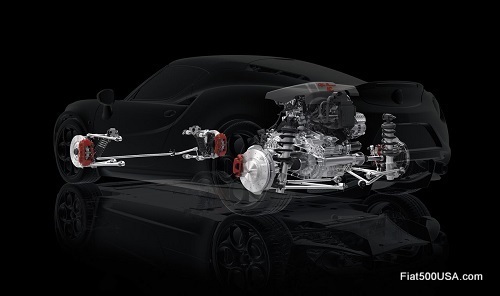 In line with the search to achieve as much lightness as possible, the 4C's engine weighs 22 kg less than that of the Giulietta Quadrifoglio Verde. 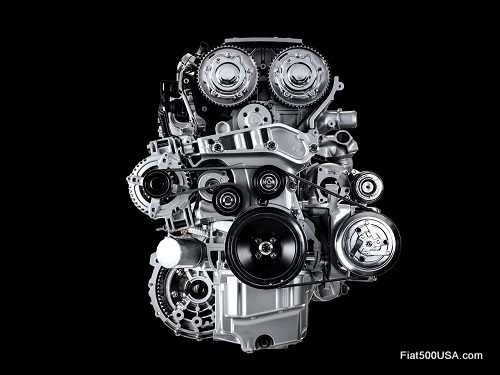 Helping reach this goal is the aluminium block with die-cast inserts that not only is lighter, but also contributes toward improving the rigidity of the engine and reducing its vibrations (fewer vibrations were obtained also by using a crankshaft with eight counterweights, which allows the maximum rpm to be increased). The Alfa Romeo 4C's advanced 'scavenging' technology maximises torque at low engine speeds and delivers more power in response to driver input. The control unit determines valve overlap times and angles with great precision to create a through-flow of air from the inlet manifold to the exhaust manifold. By improving the scavenging of the combustion chamber, this direct flow increases combustion efficiency and turbine speed and reduces turbo-lag. To complement the 'scavenging' technology, the engine is also equipped with a new generation turbocharger and a pulse converter exhaust manifold that exploits pressure waves to boost torque at low engine speeds. The manifold and the turbine are made from microcast steel and designed to operate at very high temperatures (over 1000°) - a pre-requisite to low fuel consumption on medium-high speed motorway journeys. The wastegate valve is another helpful device for engine efficiency. This adjusts turbo pressure using control logic which varies to suit driving conditions, minimising pumping losses. 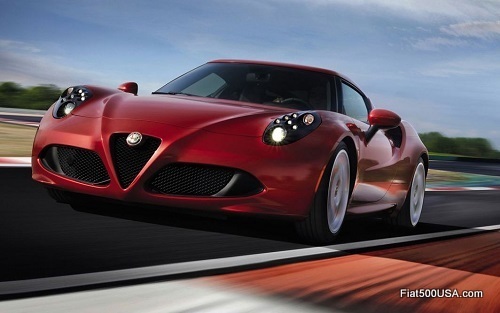 Power alone could never deliver the superb performance of the Alfa Romeo 4C. An advanced transmission system is needed to control it. The 4C is equipped with an Alfa TCT 6-speed gearbox with dual dry clutch, a solution that combines the instant power of a sequential shift with all the convenience of an automatic. A true point of reference of the category due to its low weight and extreme speed of actuation, the gears can be changed in sequential mode using the shift paddles located behind the steering wheel. 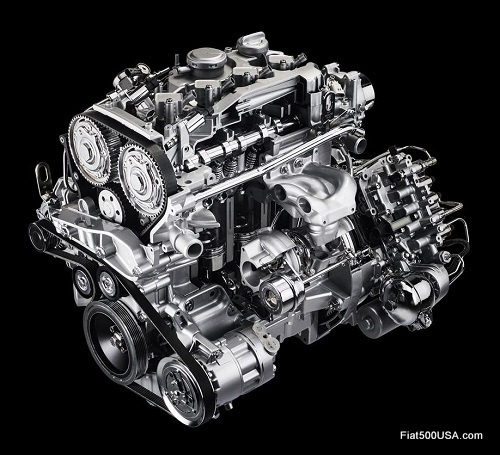 In detail, the transmission works like two gearboxes in parallel, each with its own clutch. The next gear is selected while the previous gear is still engaged, eliminating all discontinuity in power transmission. The Alfa TCT gearbox has been optimised for the Alfa Romeo supercar. The 4C's special clutch features all-new control software that ensures the fastest possible gear shifts under all conditions. Gearshifts are more aggressive in the sporting performance modes, and drivers can clearly feel the new gear engaging, as on a racing car. On bends, on the other hand, gearshifts are completed in the smoothest way possible to avoid reducing stability. You look at it and you like it: wide tyres, low ride and a well-balanced aggressive style. It is beautiful. But that's not all. You hear the engine and it excites you with its full and convincing mechanical sound. So there is nothing left to do except sit down behind the wheel, engage first gear and give yourself time and pleasure, because that is what it is all about: becoming familiar with direct controls immediate responses. 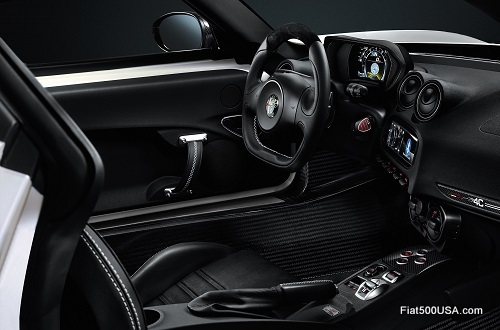 The Alfa Romeo 4C offers even the most expert driver extraordinary performance and sensations: from 0 to 100 km/h in just 4.5 seconds flat, 258 km/h of top speed, deceleration peaks in the range of 1.2 g and lateral acceleration peaks over 1.1 g. All this is also achieved with a balanced weight distribution, with 40% on the front axle and 60% on the rear. Something else that is essential is keeping the unsuspended mass as low as possible. In a hypothetical run around the track, it is necessary to ensure that the wheels grip the terrain for as long as possible, which is to the full benefit of road hold and the longitudinal and transverse accelerations. 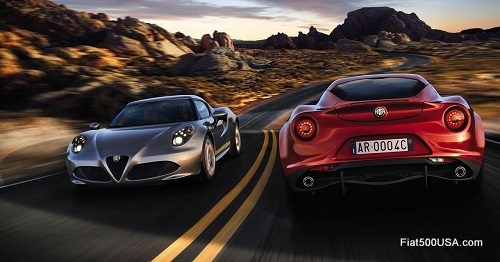 If these principles bring about the excellent dynamic qualities of the 4C, there is one characteristic enduringly connected to every Alfa Romeo: ease in recognising one of the brand's models through other senses. So it is not only eye-catching, but the sound of the engine - which has been emphasised with low frequencies and the classic roar of the exhaust - and the enveloping seat designed so that the driver 'feels' the car also create its unique identity. 'Body' perceptions are felt inside and even more so - with an added thrill - at the wheel. The brake, for example, can be modulated when loaded to get the necessary feedback even in the most demanding braking situations. Steering, which has to convey as much 'feel' as possible is unassisted, progressive and 'genuine', and the accelerator is ready to handle exits from curves with as much acceleration as possible. 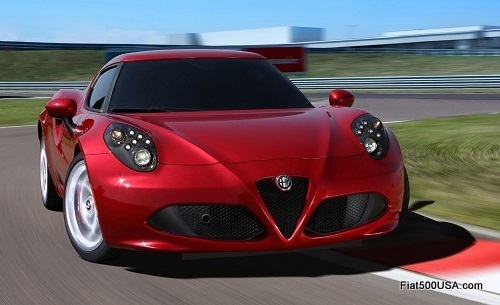 Like all the latest-generation Alfa Romeos, the 4C as well is equipped with the DNA selector. This device lets the driver change the car's temperament to adapt it to the conditions it is subjected to at the moment. In addition to the three settings available up until today - Dynamic, Natural and All Weather - the device built for the Alfa Romeo supercar has a fourth mode: 'Race', designed to enhance the driving experience on a track even further. Race is the most extreme performance mode, and is engaged by moving the mode selector to 'Dynamic' position and holding it there for 5 seconds. Alfa Race mode puts you in total control of your car under race conditions. By minimising the interventions of electronic systems, it leaves you, the driver, in complete control. In this situation, ESC stability control remains inactive and only intervenes to ensure stability under harsh braking. ASR does not intervene either on the acceleration or braking, leaving you to control traction through the accelerator pedal alone. Alfa's Q2 electronic differential control system, on the other hand, remains active, as it is essential to permitting fast exits from bends. Performance changes with the 'Dynamic' mode, which configures the car to deliver great driving performance. Engine control parameters are configured to respond quickly to accelerator input and the Alfa TCT gearbox selects a rapid action program to reduce gear shift times by up to 25%. The ESC system permits a certain angle of drift and only intervenes if steering wheel position and drift angle could put the car at risk. Press the Alfa DNA selector to switch to 'Natural' mode, designed for everyday use. Gearshift parameters are configured for maximum comfort and smoothness. 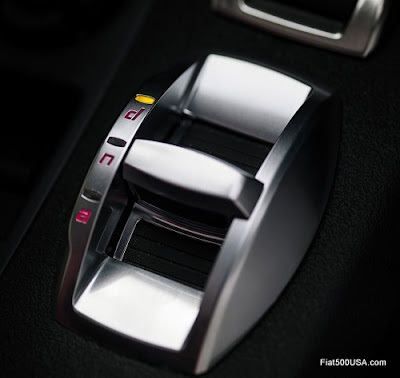 In manual mode, the Alfa TCT transmission makes up for loss of driver concentration. The Auto-Up function shifts up to the next gear when engine speed approaches the permitted limit, while the Auto-Down function shifts down as soon as engine speed falls below 1000 rpm. Finally, the Alfa Q2 differential operates in soft mode and only cuts in if one of the rear wheels suffers a significant loss of grip. Finally, all you have to do is switch the selector to 'All Weather' mode to ensure maximum safety under adverse weather conditions. With this setting the car responds to accelerator input very gently. The ASR system selects special engine and brake control logic and, in the event of loss of grip, modifies power to match road speed and prevent skidding that could otherwise be difficult to control. Different diameter tyres: 17"-18" or 18"-19"
In addition to its absolute performance, the handling of the Alfa Romeo 4C makes it one of a kind. You can fully enjoy the car in all situations, and not only during extreme use on the track, thanks to its feel and ease of driving at top levels. Sport suspensions, self-ventilated brake discs, different diameter tyres and direct steering: an advanced ride control system able to keep weight down to a minimum has been designed for the 4C. An Advanced MacPherson geometry has been adopted on the rear to ensure superb road holding and driving fun, even in the most extreme manoeuvres. More specifically, hysteresis of the suspension has been improved with the side-load spring and the support plate of the shock absorber spring at the same time forming the upper constraint of the strut. In this way both height from ground and weight have been reduced, all to the benefit of grip and precision, even at high speeds. The braking system of the Alfa Romeo 4C excels in terms of effectiveness and reliability, even in the most extreme driving conditions. The car can be braked from 100 to 0 km/h in just 36 metres. Merit for this goes to the hybrid self-ventilating, perforated discs complete with Brembo caliper on the front with aluminium bell and cast iron ring gear. This is technology patented by SHW and it guarantees up to 2 kg of reduced weight per disc and improved braking. Moreover, the sophisticated brushed surface finish technology increases grip and feel of the pedal, while the innovative release system between disc and bell provides more comfortable and safer braking. Special steel radial pins handle the difference in thermal expansion between cast iron and aluminium and accurately transmit the braking motion. The search for the greatest possible grip also led to the selection of different diameter tyres, 17"-18" or 18"-19", larger on the back to satisfy the need for greater grip on the axle where the traction works. Alfa Romeo decided to produce the 4C supercar at the Maserati plant in Modena, where it set up the 4C Workshops inside, areas dedicated to the 'bodyshell' and 'assembly' operations. 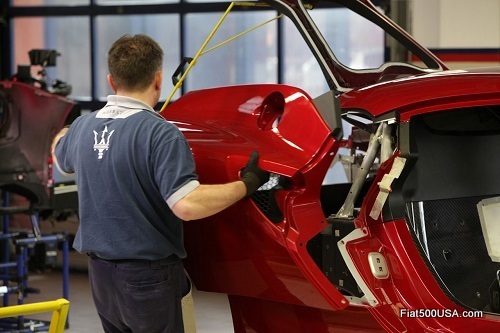 The 'testing' and 'finishing' areas, on the other hand, are shared with Maserati production. Here, the focus is always on evolved technology and top quality craftsmanship, a combination that leads to the production of cars that are truly unique in technical solutions and attention to detail. 'Gems' of technology and styling like the Quattroporte, Granturismo and Grancabrio have come off these lines in just the last decade, as did the fascinating Alfa Romeo 8C even more recently. It was the first time that the Maserati plant opened up its doors to another brand, one particularly similar to Maserati in terms of tradition and ambition. Here innovation first of all blends together with the passion of the people, which manifests itself in rigour and the determination to do a good job. It is precisely the operator's touch that adds value to the product, and so much so that the operating methods of this plant are far removed from the logic of 'mass production' to enter into a definitely more handmade dimension. Suffice it to say that the minimum 'takt time' - the production speed necessary to guarantee delivery - is 20 minutes. This figure illustrates the peculiarity of this factory when compared to the "mass production plants" where the shortest 'takt time' is in the order of 50 seconds. 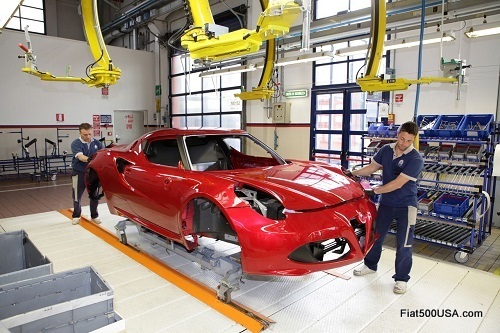 This is where the primary structure of the Alfa Romeo 4C is assembled, first creating the body in white of the car, and then putting on the preliminary 'skins'. 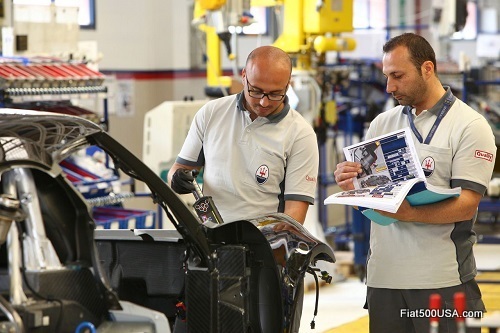 In taking a closer look, the operators at station 10 of the line join the carbon fibre monocoque to the two chassis, front and rear, and to the crossmembers. It is an operation done by hand, and during the entire process compliance of parameters like the 'angle torque' of the fasteners, guaranteeing that the connected components stay forever joined even in the most demanding conditions of use, is checked. Shortly further on, at station 30, the cell of the car is closed by fitting the windscreen frame and roof. The peculiarity of this operation lies in the special templates used to give the passenger compartment cell the right geometry. The joints are made of high-tech chemical polymer materials and are reinforced with mechanical joints. 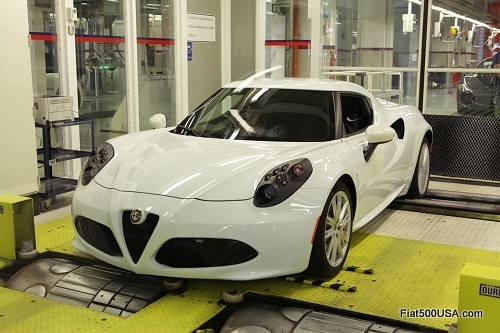 Once the bodyshell stage is finished, the Alfa Romeo 4C body in white faces up to quality control in the metrological room. Every day a few bodies taken as samples undergo highly precise measurement. The dedicated team checks more than 400 measurement points to be sure that the body is perfect on the geometric and dimensional level. No room is left for tolerance in this process: the measurements have to give results compliant with the project. The stage following the bodyshell stage is painting. It is the only process that is performed outside the Maserati plant. 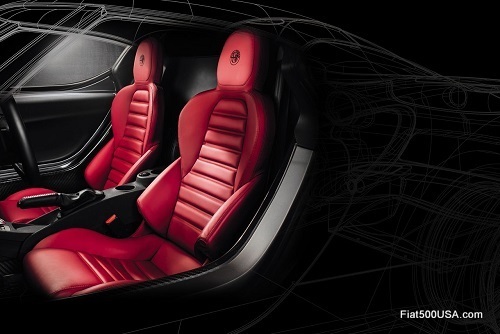 Once they have been painted, the bodies in white return 'to be circulated' on the Alfa Romeo 4C. 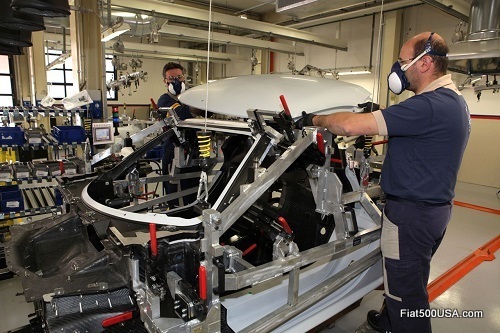 One point must be stressed: the new compact supercar is the only car that starts its assembly phase with 'disassembly'. 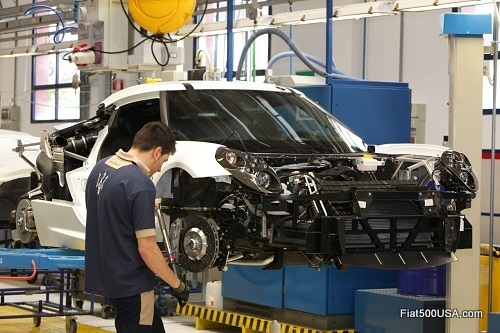 In fact, before assembling the internal components at station 1, the car returns to its primary structure by removing the already painting 'skins', like the bonnet and doors, and the structural parts, like the rear beams and dome bar. It is only at this point that it is fastened to the rotating carrier. The professional expertise of the operator is at the heart of the entire process in this area. That is why the work station and the entire logistics system have been built around the operators' activities. All the components needed to produce the 4C arrive at the various stations in the right quantities, at the right place, and at the right time. For example, there are no useless or unnatural movements at station 2. The car is lifted or turned to always offer the side where operations are carried out at the right height. All this is a guarantee of quality and offers the people the chance to practise their manual dexterity in the best possible way. Also operations like window assembly, carried out by robots elsewhere, are given over to the care and attention of people. 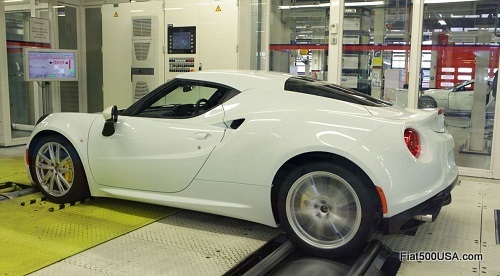 This as well is an exclusive peculiarity of the 4C production process. And that's not all. Many of the subassemblies of the car - lights and dashboard, for example - are assembled here at the factory, unlike what takes place at other industrial sites where they arrive already pre-assembled by the suppliers. These are all aspects that make a profound impact on the perceived and real quality of the finished product. After they have passed the testing area, all the 4Cs produced undergo a 40-km road test driven by an expert test driver. This is another practice typical of the most prestigious supercars. The team of test drivers is a major point of pride for the plant. All team members are expert drivers, passionately about sports driving and racing, and are exemplary professionals. An unforgettable experience and driving pleasure will be the themes dominating the commercial launch of the Alfa Romeo 4C that, starting from October, can be ordered in all Alfa Romeo dealerships in Europe. An 'essential' model for 'driving purists' will be available in all markets to exalt the driving experience to the utmost. It will be offered standard with evolved DNA selector, instrument panel with TFT technology and turbo pressure, oil temperature and Gmeter gauges, sporty fabric seats, leather steering wheel with shift paddles, alloy wheels (17" in front, 18" in the rear), grey brake calipers and twin exhaust pipes. Customers can then decide to further personalise their cars by selecting from either an exclusive collection of accessories made by Mopar®, the Parts & Service and Customer Care Division of the Fiat and Chrysler Groups, or a rich list of optionals including the Racing Pack (racing set-up, racing exhaust system, AR RACING tyres, 18/19'' 5-hole wheels, sports steering wheel in leather with microfibre insert and red stitching) and the Luxury Pack (mixed leather and microfibre sports seats with red stitching, carbon fibre Bi-LED headlights). 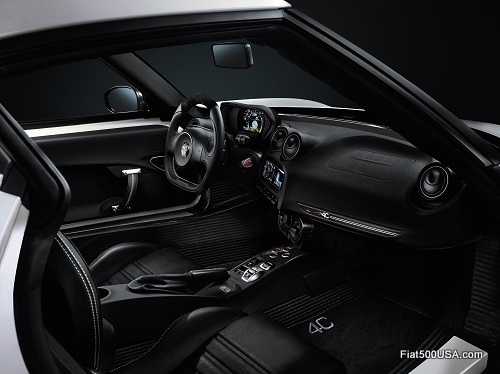 Mopar has made a large number of accessories for the Alfa Romeo 4C that harmoniously blend with the technical and styling features of this supercar. To name just a few, there are the 17" to 19" black, grey or diamond black wheels, rear spoiler made of composite material or carbon fibre, black, red or yellow brake calipers, carbon fibre or chrome-plated door mirror fairings, carbon fibre dashboard and coloured engine cover. The optionals sold by Mopar in the aftermarket include the carbon fibre headlights, 18"-19" larger wheels, racing exhaust tailpipe or racing set-up - including rear anti-roll bar and springs, shock absorbers and front anti-roll bar with specific calibration - that can be matched with race tyres specially developed with Pirelli. 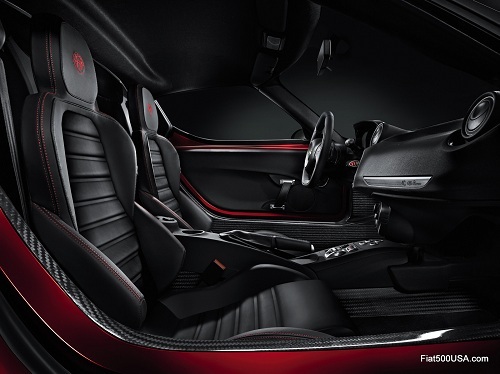 Along with the collaboration of the Alfa Romeo Centro Stile, Mopar has come up with an exclusive merchandising collection inspired by the compact 4C supercar, presented for the first time at the 2013 Geneva International Motor Show. Today this valuable series is joined by a number of new top-quality products such as the 'long board' with 100% carbon fibre structure designed on an exclusive basis for the brand and made using materials and lines typical of Alfa's DNA; the sporty red 4C sweatshirt with hood personalised with rich embroidery work and the backpack sporting a unique design and made of a waterproof fabric, complete with roomy pockets and a special device that increases its capacity. We also find the pen designed exclusively for the 4C, inspired by its aggressive lines and made with the same materials used on the car, such as carbon and aluminium. These new products join the already rich 4C collection that includes various types of item: these include the more iconic, able to express the brand's image and the content of its DNA to the full, such as the aluminium luge and the carbon sunglasses. Then there are those designed with fashion and lifestyle in mind, such as the high-impermeability raincoat, the carbon-brushed sweatshirt with softshell inserts. A more technological area is occupied by the ski or snowboard goggles with GPS connection for augmented reality. The car-shaped USB drive and the carbon cover for iPhone or iPad, on the other hand, are more geared towards fun. Qualified and trained personnel, specific diagnosis and repair tools, plus high levels of service. The 4C Service Network is born. It is a specialised service structure that will be present with Authorised 4C Service Centres throughout the EMEA area that can be contacted by dialling a dedicated freephone number: 00 800 2532 4200. The freephone number is available for providing technical and service information and for activating the roadside assistance supplied by the Authorised Centres, as are the routine maintenance and repair operations. And it is precisely repairs on which the chief new services focus. The 4C is a 'special' car that is the fruit of innovative technologies and materials that require a targeted and highly professional approach, especially on the carbon fibre monocoque, aluminium components and SMC body. More specifically, a special Diagnostics Centre has been created for the monocoque in Turin, which supports the 4C Service Centres in diagnosis and repair work. The facility boasts the professional expertise of a team of 'flying doctors' that can reach the 4C to be repaired at every Service Centre of the EMEA area if necessary, who analyse any damage the carbon fibre structure has sustained using radiographic and resonance technologies. In the case of slight or medium damage, they are equipped to make repairs on site. If, on the other hand, the damage is serious, the flying doctors opt to replace the monocoque at the Service Centre to which the customer turned. 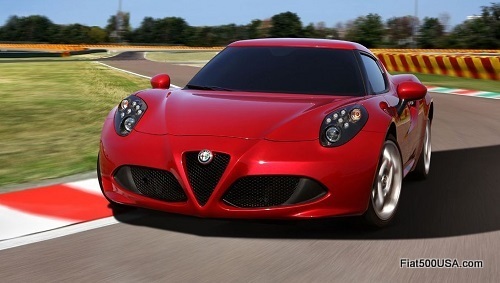 The Alfa Care 4C Service Centres are also equipped to replace and repair aluminium beams. In detail, a repair system has been created for the rear beam, which is more complex to replace because it also houses the engine mountings. Repair requires that the damaged sections be cut and replaced, and that the parts be sealed with special adhesives that reproduce the cold welding effect. Service Centre technicians are also able to repair slight or medium damages of the SMC parts of the body by using special instruments. The threshold of innovation in the field of online car configurators is moving even farther forward on the occasion of the Alfa Romeo 4C's launch. 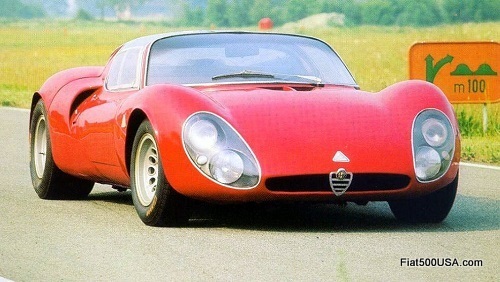 The website 4c.alfaromeo.com contains an interactive video configurator that lets users personalise their supercars in a multimedia context filled with atmosphere. 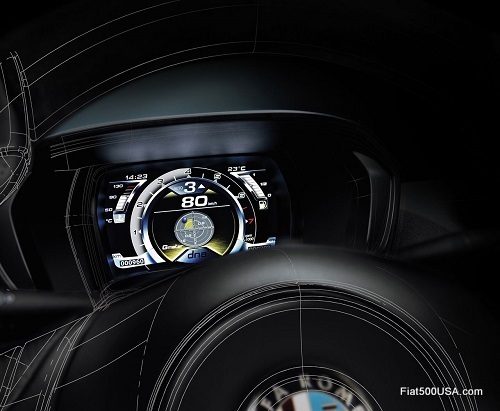 In particular, the entire process of configuring the 4C is displayed in an interactive film clip in which the selections made by the users - like changing the colour of the body, selecting elements like wheels and headlights, for example - affect the contents in real time without interrupting the video. While changing its appearance during execution, the car plays the starring role in the film clip and offers users a 3D and dynamic visual perception of their choices. 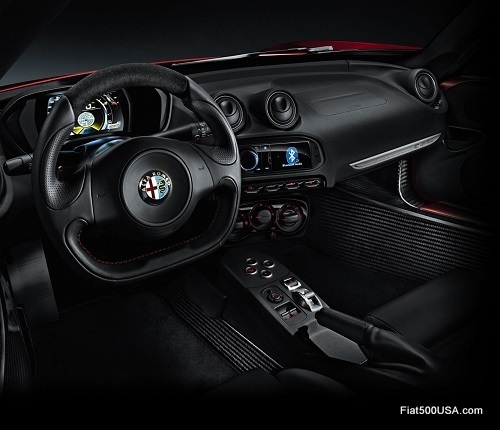 What makes the Alfa Romeo 4C unlike all the rest is the presence of an actual virtual control booth that lets users personalise their experience and share it with their friends. They can freely select detailed video sheets on the car's specifications that enrich the video with stimulating cinema-style cuts to turn every configuration into a personalised video edited as one likes. It is an international project developed by Wedoo, the leading digital agency in the market and in online configurator innovation. By combining video shots, interactive computer graphics and the most innovative texture mapping and animation technologies, an experience of high visual and emotional impact has been created for the Alfa Romeo 4C. It is a blend of technological innovation and profound knowledge of the world and automotive culture, the ideal way for turning the brand's values and the spirit of the new Alfa Romeo 4C supercar into online emotions.